As another academic year comes to a close, we took time today to celebrate and honor our graduating seniors. We selected some of our current seniors to be members of our student panel. 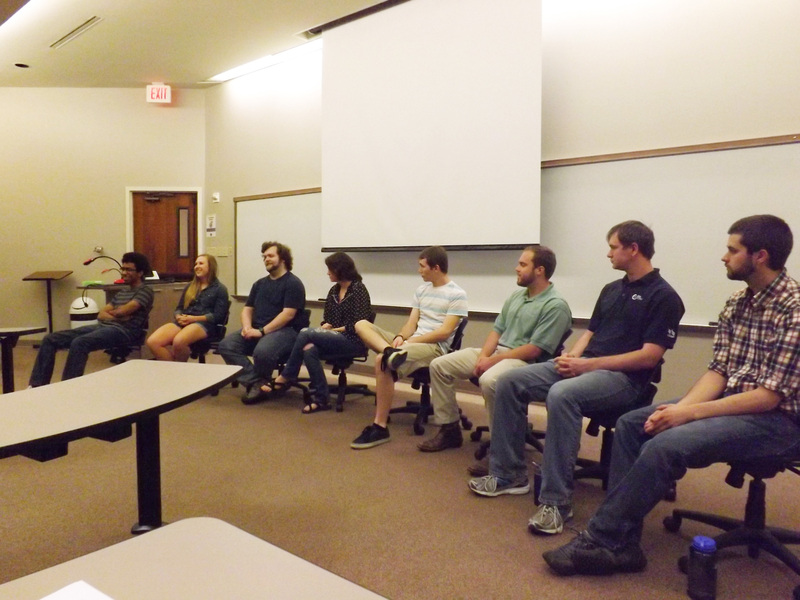 This opportunity allowed them to share highlights of their time at ACU and offer advice to their fellow classmates. “Build upon what you learn in class. Take that information and push it to the next level,” Allen Taylor urged. Allen, IT major from Plugerville, Texas, was the recipient of this year’s Innovator Award for outstanding achievement and entrepreneurial spirit. The group had some wonderful advice to pass along and had glowing praise for the faculty’s involvement during their time at ACU. 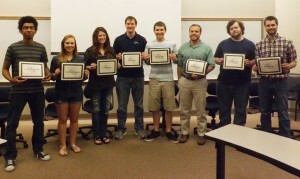 Immediately following the student panel, we awarded our outstanding senior awards. Congratulations Class of 2014! We are very proud of each of you.